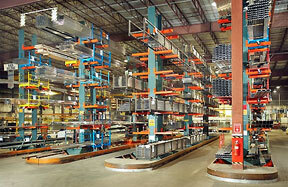 With over 40 years experience in the material handling industry, Cisco-Eagle know storage rack and rack systems. No matter the size of the job, we handle projects ranging from full warehouse pallet rack systems to heavy duty sheet metal storage and pipe or other long item storage applications for cantilever racking. Call today for fast assistance.